Did you know you can eat a whole hibiscus? And munch on pansies too? 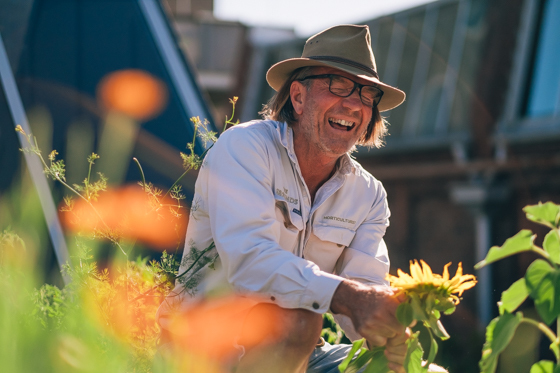 Well neither did we until we sat down with our in-house Horticulturist, Greg, to learn about the edible garden on our rooftop and tips on how to grow edible flowers from home. 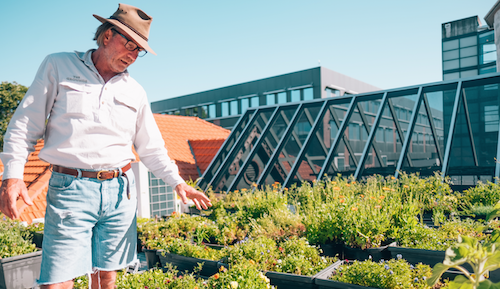 How long have you been growing our edible flowers on the rooftop at The Grounds? We started in the early winter of 2017, so it’s been almost a year and a half. 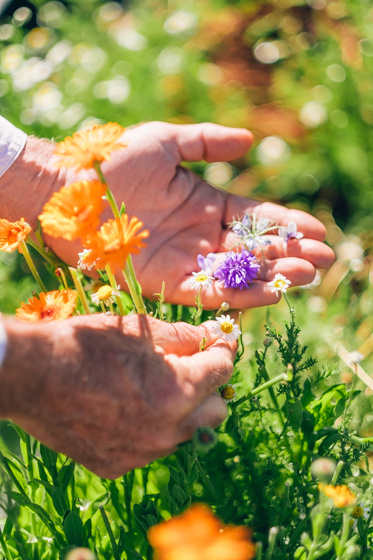 I was inspired to get it going as I saw the amount of edible flowers that were being served at The Grounds, and I felt that there was an in-house market to start growing these ourselves. At the moment, we are growing around 30 varieties. The flowers look super delicate – what care do you have to give them? They are very needy, but in saying that, my practice here is all organic. 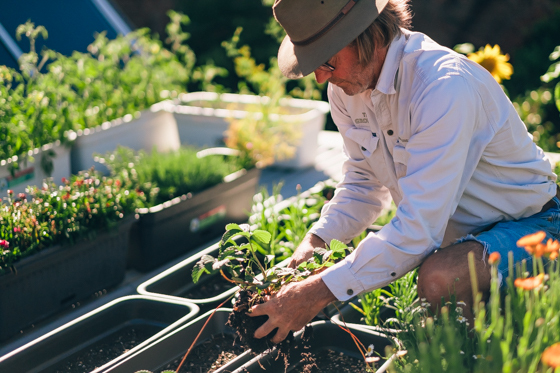 We care for our edible flower garden with very light, micro-spray watering from underneath. It doesn’t take much to bruise the flowers, so handling is very important. 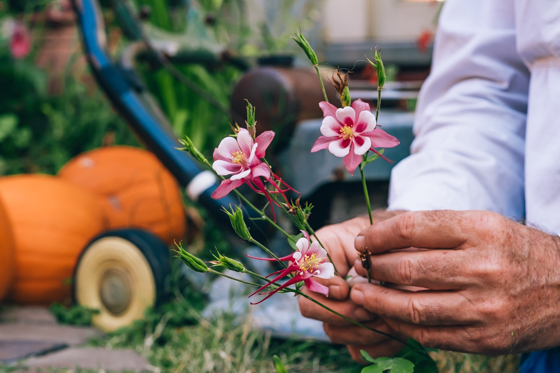 Do the flowers need any preparation before they can be eaten, or are they ready straight from the garden? 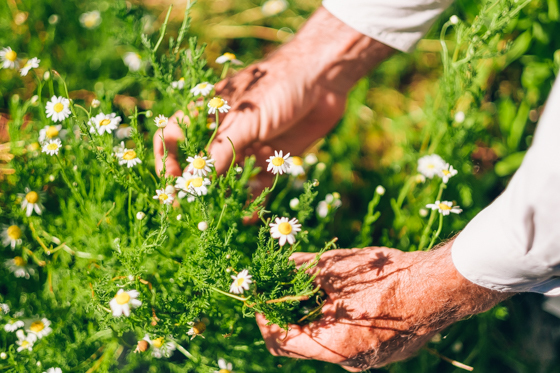 The flowers are all hand-picked, stored in a clean container and ready to be eaten. They don’t need to be washed as they are continually cleaned during the light watering process. Do the flowers have different flavours? There are a vast array of flavours for edible flowers. It can range from a peppery flavour to a salty flavour. Some are sweet and some are distinctly sour in taste, but this works well in drinks for example. Do you have a favourite edible flower? I think that would have to be the hibiscus. They’re amazing. You can actually eat the whole flower, some people say they remind them of cranberries. Beside from the hibiscus, are there any other flowers that are surprisingly edible? Can you go munch on a rose? You can! Roses are beautiful and it’s the petals that are edible. That’s probably my second favourite flower. So what differentiates an edible flower from a non-edible flower? That’s a good question. There are a lot of flowers which you cannot eat because they are poisonous. Research is most important! There are actually apps these days which allow you to take a photo of a flower and it will tell you what variety it is. Can anyone grow them at home? 100%! At The Grounds, the majority of the flowers we grow are perennial (they last for several years) or annual. They are mostly grown by seed so they are very easily propagated. Some people actually call them weeds, as they can grow out of control without proper care. That’s why on a level of growing, it’s fairly simple. If you have an interest, it’s definitely worthwhile pursuing. If you’re a beginner, pansies are a great flower to start with. They come in a multitude of colours and grow through autumn, winter and spring, so seeds will be available to purchase from your local garden centre or nursery within the next month. Snapdragons and violets are also easy to grow and great for someone starting out. So what do these flowers need to grow? Edible flowers require at least eight hours of sun per day and water is key. They also need to be feed. For flowers in particular, there is an N-P-K chemical ratio (nitrogen, phosphorus and potassium). 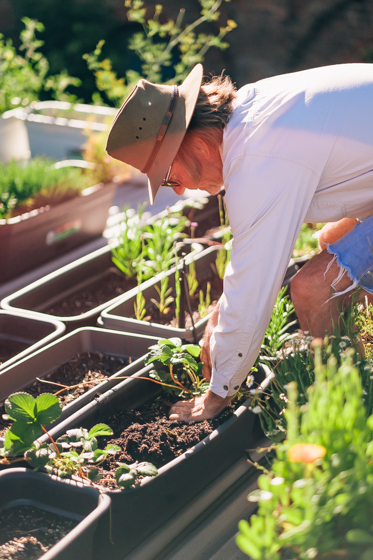 To promote ultimate flowering, I recommend using organic fertilisers that are higher in potassium. I’ve also found the more you pick them, the more they produce as well. One final question – if you were a flower, what flower would you be?